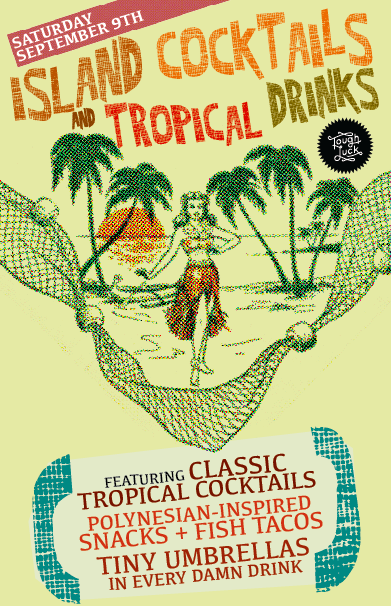 Come join us for a night of tropical tiki cocktails and island drinks. We'll be mixing up classic cocktails, serving up Polynesian-inspired snacks, fish tacos, and plenty more. Plus there will be tiny umbrellas IN EVERY DAMN DRINK so help us God.